Broil King Keg Forum > Broil King Keg, Big Steel Keg and Bubba Keg Grills > Team Keg (Moderator: BBQRich) > Team Fumacious Q! Carnivore Jr is hooked after her experience at the Smokin Eagles BBQ Championships. 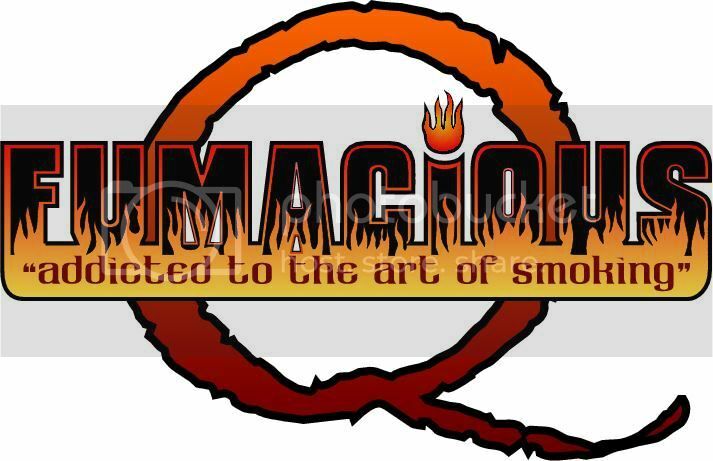 So we are offically forming Fumacious Q as a father/daughter BBQ team for next year. We will be spending the winter learning, acquiring, building and preparing for next season. We want to make it an all Keg team if we can manage, so we need to acquire a few more kegs. We are thinking of building them into a purpose built competition trailer (another winter project). Kegs, coolers, temp controllers, knives, tools, accessories, etc., it is not going to be cheap! We will keep you posted with updates on the progress as we begin and slowly push along. Sounds cool Beav. Im thinking of giving this a try next year too. I think it will be fun. Im going to start small though. Not jumping into a full trailer right now. I would plan to use all kegs though. Post some update of your progress as you go. This won't be a big hauler like you see these othe rteams pull in with. I am thinking of adapting a small utility trailer or old pop-up camper stripped to allow kegs to be added and remain within, rather than pulling them all out free standing. I was origanlly thinking of setting two kegs into a stainless table on wheels, so I can just wheel from the backyard. But I would still need a trailer, so why not just adapt the trailer to keep them. My Dad has a big 5th wheel that I think we will bring. I just need to make a hitch adapter to hold 2-3 kegs. If we enjoy it next year I build up a dedicated trailer the following year. Yeah, that is my problem. For our first comp, I brought a trialer with the kegs and my cousin followed with his pop-up camper. Most teams were just sleeping in a cot/hammock beside their cookers, where we had the luxury of sleeping in a dedicated bed. That's great news about competiting with the family. Be warned, you start off small, i.e. 10x10 and a pop up, then you wake up at one contest and look at your site. It's at that time you go OMG, I'm in real deep. It's all good, what better way to spend your money then spending time with the family while doing what you love. Im hoping his 5th wheel still has a hitch on back to mount the kegs. Guess I need to ask. He had a motorhome and sold it. He like being able to unhook the truck if he wants to go someplace once his trailer is set up. Sounds really cool Beav, you have some fun and exciting times coming your way. I've slowly been massing my tools/goodies for almost a year now. I was sort of forced to do it that way w/busy schedules and what not but it's giving me time to think of what I need/want. x2 but I haven't taken the jump yet, still in gathering mode, but I do have the portable frozen margarita machine! DUE TO SUBJECT MATTER VIEWER DISCRETION IS ADVISED. We are slowly building our equipment and getting stuff together for the BBQ scene next year. Will be working on a simple facebook page shortly. Did you design the logo yourself? It looks great. Looks great. Did Carnivore Jr. put her stamp on it?